From contemporary to classic, come hear your favorite and most beloved Broadway hits at our two night only cabaret event! 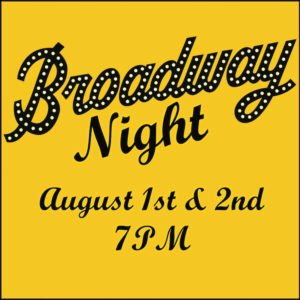 Due to popular demand, Broadway Night is returning for its second year in a row. Infinity's company of actors will dazzle you with songs from across the spectrum of Broadway musicals. Experience the emotional highs and lows that only the best storytelling and music of Broadway can provide.